Thailand is one of the hottest vacation spots around the world. It comes with just the right tropical flavor and luxurious comfort to leave you feeling relaxed. The culture is an amalgamation of Indian, Chinese, and Malay that is bound to enthrall you. The white, sandy beaches are clean and picturesque. Thailand is also known for its amazing cuisine which you can explore at top notch hotels. Here is a list of top 15 hotels that are known for their impeccable service and experience offered to the guests. It is worth exploring these hotels while in Thailand. 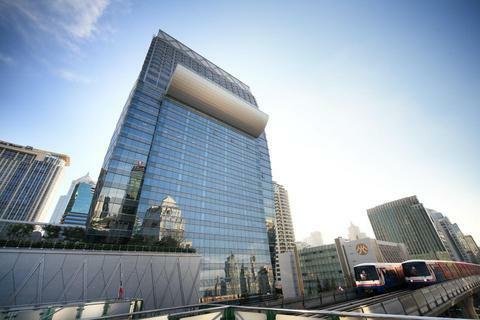 Mandarin Oriental Bangkok overlooks the pristine Chao Phraya River. The hotel is one of the only remnants of the 19th-century historical buildings. The two-storey Authors’ Wing is the only remaining structure that belongs to the 19th century. The elusive suites derive their name from the former guests or celebrities who have stayed there. The list includes Barbara Cartland, Wilbur Smith, Graham Greene and the Thai author Kukrit Pramoj. There are some other suites whose names are associated with ships related to early trading in Bangkok. You can learn a little bit of history while staying at the resort. The hotel has a French, a modern Cantonese and a Thai restaurant, apart from the several international restaurants. A little trivia about this hotel – it was the first ever hotel to be established in Thailand. Due to its strategic location and excellent services, it has managed to become one of the largest in the area. 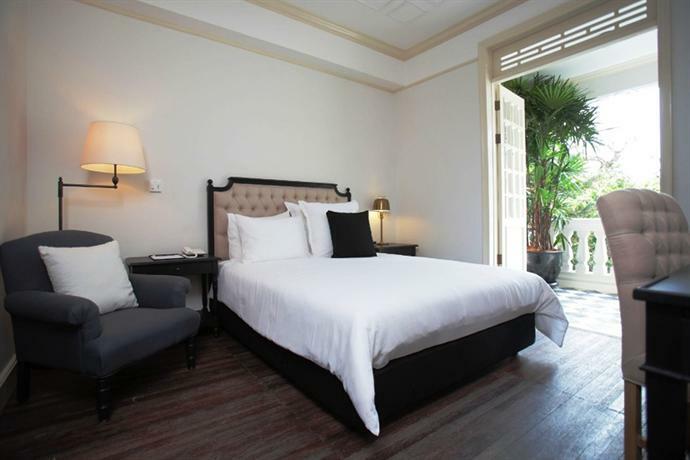 The Siam is a luxurious boutique hotel that captures the true charm of Thailand. Living here is a simplistic experience although you never feel like you are out of the magnificent Thailand. This warm and welcoming boutique hotel introduces you to the vibe of the city and that is what sets it apart from the rest. The location of this resort is unparalleled. It is situated at the heart of the city, along with the Surawong Road. It has 73 suites decorated solely as per the Thai style and art. The luxurious hotel boasts of an Opium Spa, a gym with special Muay Thai boxing ring, a cinema, a Yoga terrace, a cooking school and three restaurants. You might not want to leave the premises with so much to indulge in at one place. The resort provides you a complimentary boat shuttle to take a glance at the nearby attractions. The view from the suites is breath-taking and will entice you to explore Thailand more. 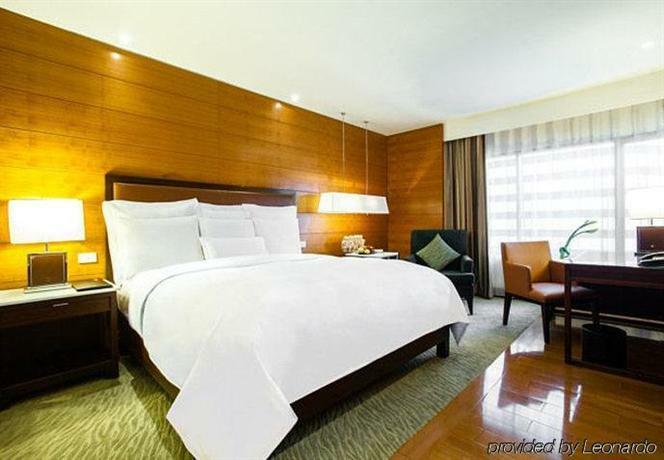 Situated in the heart of the downtown area, this exotic hotel gives you a resort-like experience. Through this hotel, you can have a direct access to the Siam Parawagon Mall. Both businesses, as well as leisure travelers, have sworn by this hotel. This is mainly because it offers you a first-in-class experience with its prime location and warm services. There are 402 luxurious suites designed in the contemporary style for you to indulge in the local flavor more. Many of the suites are designed with authentic Thai art and architectural style. They give you the very special local vibe and you can also avail a private balcony from your suite. Daily refillable drinks along with snacks are complimentary at this hotel. Also, Wi-Fi is free and connected across all the suites in the hotel. If you want to shop, relax and enjoy a private ambiance, this is the right place for your stay. Situated at Bangkok’s most coveted address – the Rajadamri road, The St Regis Bangkok is a paean of timeless charm. Nestled in the key commercial hub of the state, this hotel has amenities that are suited for business travelers as well. The rooms are beautiful, bright and airy and the stay is top notch. There’s a room overlooking the Royal Bangkok Sports Club and is considered among the best rooms to stay in. The hotel comes with an excellent bar where you can enjoy your afternoon tea and drinks. They have a renowned butler service there and they are also known for their welcoming staff. The hotel offers you complimentary laundry services and breakfast and the internet as well. The hotel consists of several meeting rooms, no-smoking rooms and a fitness center to take care of your gym or workout habits. The infinity pool is sure to calm you down at the end of a tiring business meeting. 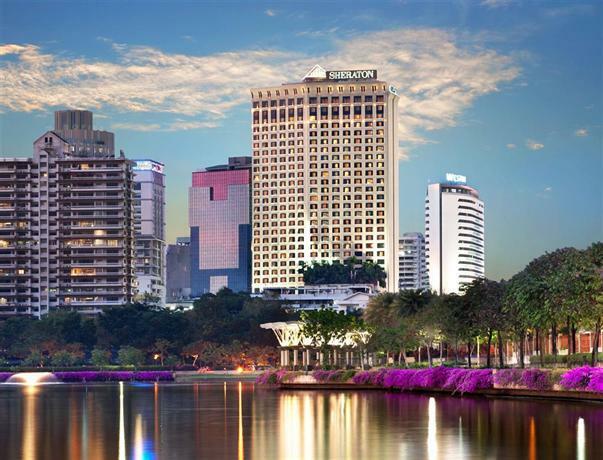 The Okura Prestige Bangkok is a stylish and sophisticated 5-star hotel located in the heart of Bangkok. The rooms come with the classic warmth and charm associated with Thai culture. There are 240 rooms here – each of which enjoys the skyline of Thailand with triple-coated glazed windows. The in-room features cater to the needs of the international and local businesses. Leisure travelers can seek solace in the hotel’s proximity to all the big landmarks. There are three outstanding restaurants captivating with Thai and international cuisines. There are also in-house dining options for all the business and social locations. A wide, 24-metre cantilevered pool helps you relax at the end of a busy day. 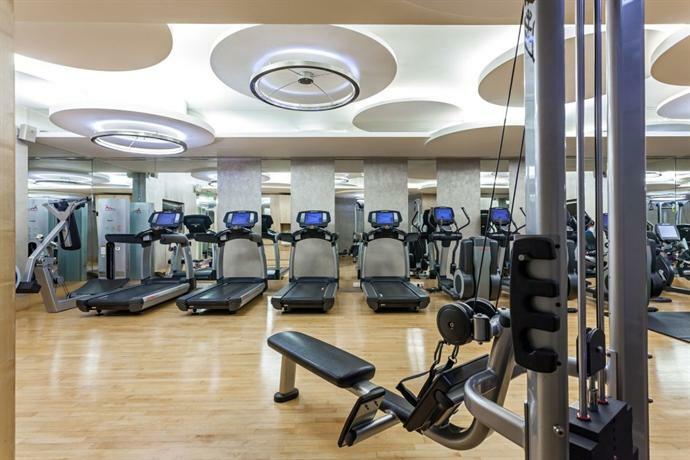 The hotel also comes with a state-of-the-art fitness center where you can keep engaging to stay fit. The overall charming ambiance of the hotel will surely leave you mesmerized. At The Peninsula Bangkok, experience the charm of Thailand first hand. It offers the ultimate experience of Thai culture. It is the best for travelers, although business travelers too can find a lot of amenities at this hotel. Right from its architecture style to its location, everything will make you truly feel like you are experiencing the best of Thai culture. If you are looking for a Thai getaway, this hotel will provide you an exotic stay. Situated right along the Chao Phraya River, the boat rides along the city will give you a liberating once-in-a-lifetime experience. Situated just a 5 minutes free ferry ride away you will find the Saphan Taksin BTS Station. The luxury suites include a walk-in closet, a sitting area, and a sofa, among other amenities. Your guests can enjoy hotel facilities such as spa, sauna and a business center. Car rental, currency exchange, and laundry services are also available in the hotel. the hotel is one of the biggest in Bangkok. It offers a quiet cosmopolitan getaway and a truly world-class experience. The Hotel overlooks the BTS Skytrain station. Therefore traveling to and from the cultural locations is convenient. It offers a bird’s eye view of entire Bangkok and that is alluring – especially at nights when the bustling city is all lit up. A fresh-air Yoga session along with a fitness center makes it an ideal stay for some relaxation for the business guests. Couples can truly enjoy a stay at this hotel – it has been highly rated by the couple guests. When it comes to the stay, the hotel boasts of five dining stations and an outdoor pool. The restaurants serve delicious Chinese, Western and International food. Two in-house bars serve champagne and cigars at the wee hours. 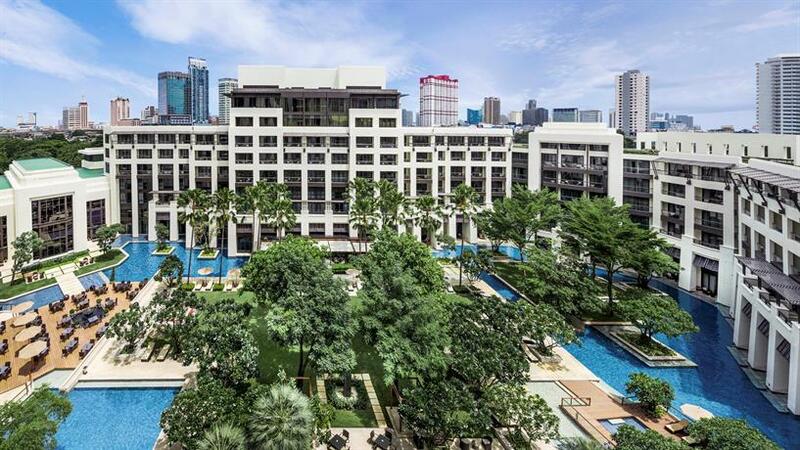 Hansar is situated at downtown Bangkok and is one of the best in Rajdamri Road that connects all the major roads in the city. The hotel boasts of five dining options serving everything from Thai to international food. 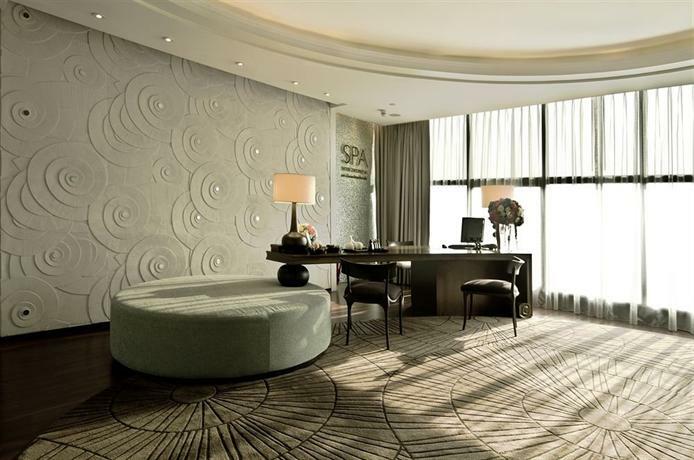 A luxury spa will relax you at this hotel and the elegant, modern suites will take care of your comfort after a tiring day of exploring the city. Relax with a Thai herbal compress at the Spa at the end of a business meeting or workout to bust your stress. The rooms have a private bathroom equipped with rain showers and a terrazzo bathtub. A free minibar, stocked with beer, juice, water and snacks are replenished daily. The Elefin Cafe serves scrumptious Thai cuisine and light snacks. French and Mediterranean dishes are served at Eve restaurant within the hotel. For drinks and socializing, you can try out The Rouge. The hotel overlooks the Royal Sports Club and is within a walking distance away from the BTS station. The Shangri-La Hotel gives its guests the chance to truly indulge in Thai culture. The ambiance is private yet welcoming and you are made comfortable here in no time. Whether it is the aerobics and classes at the hotel or a game of tennis that you can play here, you will feel like your holidays have truly begun. 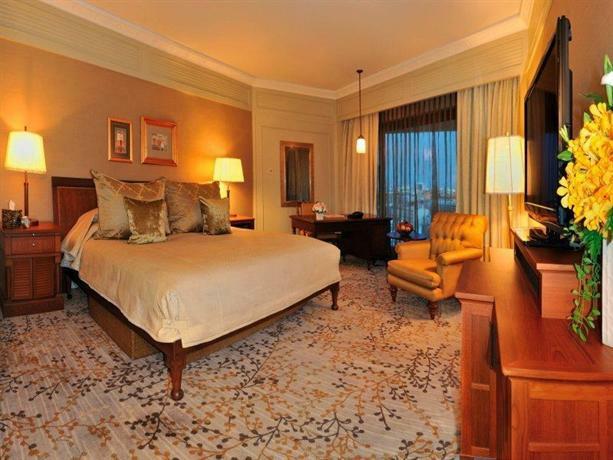 You can get two types of luxury suites here – one with the city view and another with the river view. Both the views are one of a kind. The Thailand skyline offers a cosmopolitan comfort, whereas the river view takes you more into the heart of the Thai culture. Both businessmen, as well as regular visitors, find solace in this environment. Within the hotel, you have the Volti Ristorante & Bar which serves authentic Italian dishes and has a luxury at-home atmosphere. 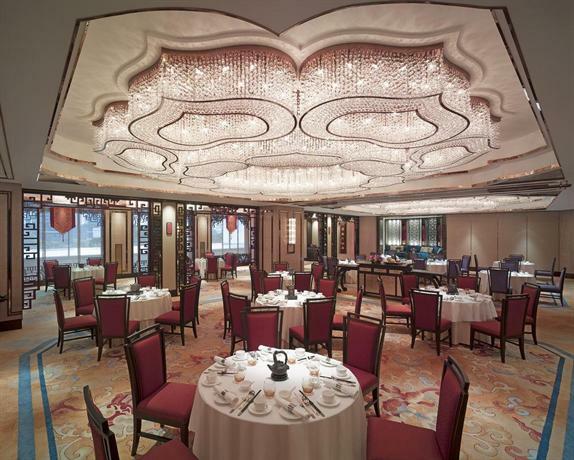 For a more personal and romantic dining experience, the Hotel II River Cruise is ideal. 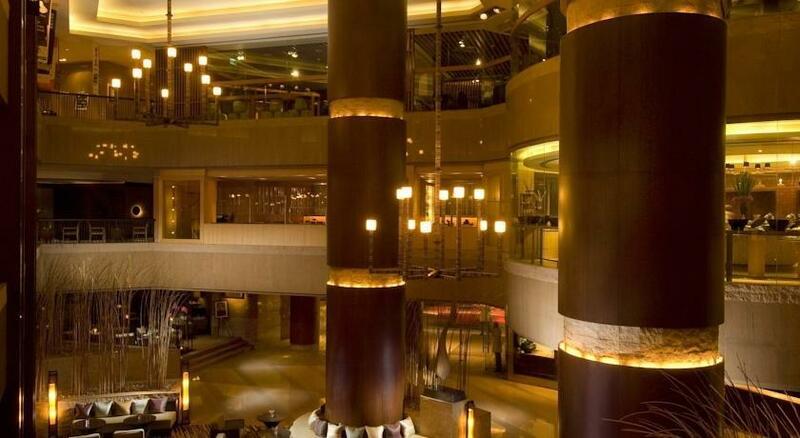 The Grand Hyatt is a gigantic chain of luxury hotels around the world. Their 6-star services are tailored to provide you with the utmost comfortable experience. If you want to explore the culture or simply want to enjoy a quiet stay, the Grand Hyatt Erawan will cater to you. It is just a stone’s throw away from the Erawan Shrine. The Central World Departmental Store is also very close to the hotel. The stay at this hotel is unparalleled. The marbled bathrooms offer ample space. 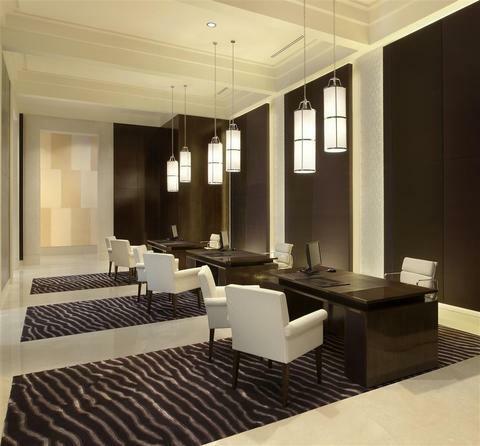 The rooms have a separate workspace and spacious, modern interiors. The city-view from the luxury suites are also worth mentioning. The hotel also provides a 24-hour concierge for your comfort. The in-room amenities include a coffee maker, a flat-screen TV, and free Wi-Fi access. If you are interested in shopping, the Pathumwan is located right next to your hotel. Guests who choose to stay at the Grand Club Room enjoy cocktails, daily breakfast and a serving of their favorite beverages at the Grand Club. 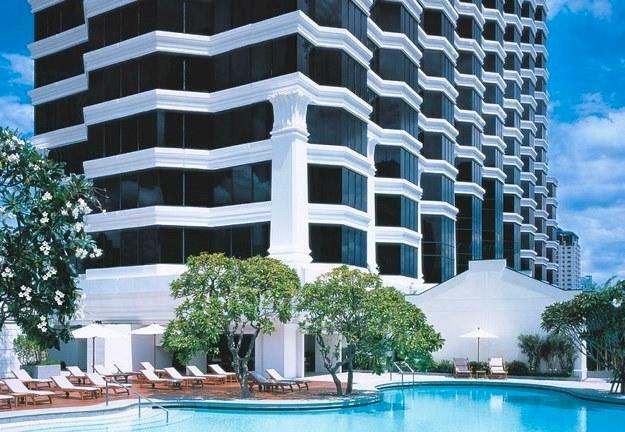 Situated in the heart of Bangkok, the Cabochon Hotel is one of the most elegant hotels in Thailand. The rooms here are very interesting and designed for all kinds of travelers. The Twin Studio, for example, is ideal for the girl that is here with her bestie and wants to go on a shopping spree. The Queen Studio comes with a balcony and is ideal for those who want to just chill by the sunset. The vintage bathroom and large wardrobe will ensure that you take back fond memories staying at this place. There are also two-bedroom and three-bedroom suites which are encompassed with a shady balcony and luxurious amenities. Conrad is known to give a stunning experience not just with the view or the stay but with the hospitality of the staff. The hotel is well-renowned for looking after its guests. The hotel is also ideally located just 20 minutes (walking distance) away from the Lumbini Park and 10 minutes away from the BTS train station. The hotel also provides a regular shuttle service to the BTS. The executive corner suite has an executive lounge that provides unlimited canapés and cocktails during happy hours. Expansive interiors make much room for a breezy and comfortable stay. The view from the top floors is breathtaking. Nestled ideally amidst the Central World Bangkok and Siam Paragon, this 5-star hotel boasts of elegant rooms and luxurious stay. The in-house sauna provides a much-needed relief after a whole day of shopping. The rooms have soundproof walls and classic dark wood furnishings. The marble bathrooms feature bathtubs and a hairdryer. The eight dining options include Man Ho Chinese Restaurant, New York Steakhouse, Nami and Tsu. These are some of the favorites of the guests at this hotel. The expansive view of the city and scrumptious food offer great delight to the guests at the end of the day. Also, it is situated just 2.4km away from MBK shopping mall. This elegant urban oasis boasts of stunning modern interiors which are inspired by the 5 elements – Water, Earth, Air, Fire and Spirit. SO Sofitel has iPad Minis and Apple Macs in the suites. The rooms overlook the Lumpini Park or the city. All rooms come with a 40-inch LCD TV screen and a free minibar. The rooftop bar and restaurant are quite an attraction here. The Red Ovens serve international dishes in the live cooking stations. If you are interested in exploring the city and its culture, the Sathron is a great option for you. Sheraton Grande Sukhumvit is situated in a prime location and has several shopping malls, department stores, and railway stations nearby it. 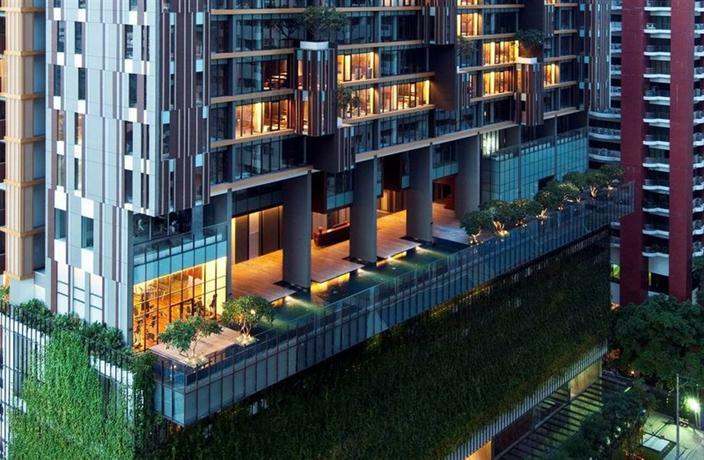 It is just 3km away from Siam Paragon. The rooms are spacious for a single person and they have a walk-in closet and a separate working space. The rooms offer a typical Thai experience that you crave for. For a rejuvenating afternoon, hit the Grande Spa where relaxing massages are what they are famous for. Orchid Cafe is yet another highlight and it serves a large breakfast, lunch and dinner buffet. 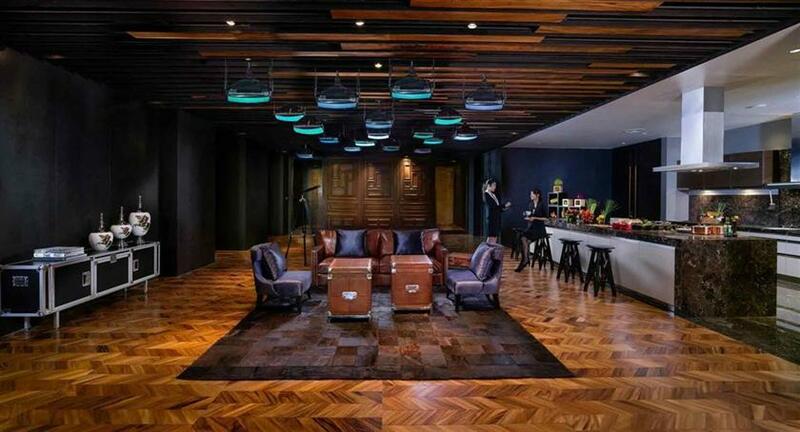 In The Living Room, you can experience live jazz music.